As the current DC Universe stands, there are two Superman running around on Earth-0, the main universe that exists in DC Comics (in addition, Val-Zod of Earth-2, frequently appears in books related to that universe, and one exists in the future world of Batman Beyond). 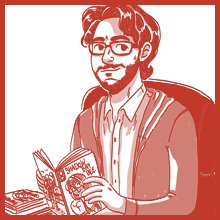 One, starring in most all of the books, is a young 20-something who, after having his identity revealed to the world, has been running around de-powered. For the purposes of this article, we’ll refer to him as 52!Superman. This Clark Kent had his adoptive parents, the Kents, die at a rather-early age, and he moved to Metropolis to become a writer at The Daily Planet before leaving the company and starting a new venture with Cat Grant (which, as most people didn’t care enough about to deal with, was eventually forgotten and he kept working with The Daily Planet). Jimmy Olsen knew his secret identity before the rest of the world did. He doesn’t wear spandex or trunks, but instead wears a Kryptonian armor. 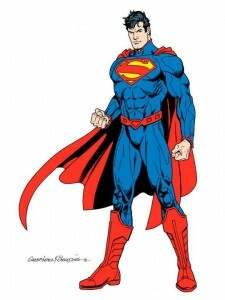 While he was de-powered, the suit was taken from him by the Fortress of Solitude, and instead wore a basic “S” t-shirt, reminiscent of his costume from his early superhero days. He has a “Super Flare” that essentially consists of expelling all his charged energy out of every cell; consider it a full-body laser vision. This power comes at the cost of reducing him to “mere mortal” status until he recharges, which took longer than expected… but he got better. This Clark never had a relationship with Lois Lane beyond “coworkers,” but did have a noted relationship with Wonder Woman. It’s ended. He became a Doomsday-type monster at some point. Another Superman’s recently been revealed to have existed on Earth-0 since before the Justice League was founded. This Superman, created from 1985’s Crisis On Infinite Earths, surviving Zero Hour and Infinite Crisis, was the main hero the DC Universe from 1985-2011, until Flashpoint changed things. This Superman was the one that married Lois Lane, died at the hands of Doomsday, teamed up with the Golden Age Superman, had a mullet, etc. For the purposes of this article, we’ll refer to him as Crisis!Superman. Honestly? He’s got to be near-40. Presuming that a number of years passed in-comic from 1985 to 2011, and add in that at least five years have passed since the formation of the Justice League, plus the year or two before where he was just raising an infant son on a new world… yeah, he’s older. This Superman has had a unique chronological history. He was a new Superman on a new world after Crisis on Infinite Earths, survived chronological hiccups during Zero Hour and Infinite Crisis, and was revealed to have survived Flashpoint, helping save the day and change history back in the original Crisis on Infinite Earths, and then gained a new world on the modern Earth-0, a world that already had a Superman. Having married Lois Lane, they have a child, Jon Kent. 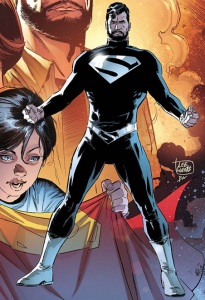 This is the second child they’ve raised, having taken in the son of Zod, renamed Christopher Kent, but that child kinda disappeared in a whole Phantom Zone deal. Beyond this, Superman was half of the biological make-up of Conner Kent. This Superman is currently active behind the scenes, using a suit reminiscent of his post-Death of Superman black costume… sans mullet. Two Supermen, one in the public eye, one in the private. Two Lois Lanes, one a noted reporter for The Daily Planet, one an author under an alias. Both are doubtful to survive the DC Rebirth. The world knowing “Clark Kent is Superman” is not an aspect that’s guaranteed to last. As Rebirth is about bringing characters back to how you know them, there’s an easy out for this. The world sees Clark Kent shakes hands with Superman. Let this happen in Super-League, the secretive story that takes place over multiple books right before Rebirth, and you get this set up nice and tight. One of the more exciting new books to come into existence is New Super-Man, written by Gene Luen Yang, features Kenji Kong, a Chinese teenager who gains the powers of Superman. How’s that happen? It’s a mystery at the moment, but him absorbing the powers of a previous Superman would be reason for him to have those powers, alongside taking up that mantle. One of the first pieces of art featuring Kenji has him holding a solid/hard-material “S” shield, which is what (every once in a while) 52!Superman’s armor was activated by. Depending on the story, 52!Superman would wear this “S” under his clothes, and it would “build” the armor outward. Kenji Kong getting the armored Superman suit and powers? That works. Everyone on this cover is very much their New 52 selves; Supergirl isn’t quite yet at her “it’s the TV show costume” outfit, but Superman is very much looking like what Crisis!Superman wore regularly. There’s no high-collar, there’s no armor lines, and his wrist coverings don’t got all the way to his fingers, a recent redesign element of John Romita Jr.’s. This Superman is leading the charge, and it appears that the lightning from the Mysterious Hand is actually doing something to his cape. Confirmed to star “Clark, Lois, and Jon,” but with the interesting twist that Lex Luthor is also claiming the title of “Superman of Metropolis.” Why would that be in question unless there was some argument over inheriting the mantle? Additionally, it continues the story of Superman: Lois and Clark, with the same writer (Dan Jurgens, probably the most definitive Superman writer of the 1990s, and one of comic book’s unpraised legends). “Superman returns to Metropolis just in time to meet the city of tomorrow’s newest protector: Lex Luthor. But it’s not long before these dueling titans meet someone unexpected — the new Clark Kent!” This indicates that Clark Kent will meet Superman and Lex Luthor here, which would be a way to wrap up the “public identity Superman” plot, but will 52!Superman survive all the way to Action Comics #957? #958 offers “Luthor and Superman must put aside their differences and face the common threat of Doomsday, as Jimmy Olsen and the Planet staff try to uncover the truth: who is the man claiming to be Clark Kent?”, so we at least have a separate Superman and Clark Kent running around. Not much said, but there’s no doubt that’s a Superman that’s not wearing armor on the covers. Not much was said about the actual plot of this book, but once again, you have Lois and Jon front and center. The plot synopsis for Superman: Rebirth reads “The world needs a Man of Steel, but can Superman protect the world while raising a super-son with his wife, Lois Lane?” which is undoubtedly featuring Crisis!Superman, or at least the trappings of his life. Followed by Superman #1 featuring “The Last Son of Krypton must decide whether to help his young son use his new and rapidly increasing abilities, or hide them from the world,” and you’ve got even more confirmation. Damian Wayne and Jon Kent, starring as Robin and (potentially) Superboy. Jon Kent won’t be hidden from the world, nor will he hide from Superman’s legacy. It’d be somewhat weird if a kid that wouldn’t likely be 52!Superman’s child was hanging around with a guy that looked a lot like his young dad. The likely swan-song of 52!Superman is Super-League, the eight-part, three book, two-month event spreading out over Action Comics, Superman, Batman/Superman, and Superman/Wonder Woman and written by Peter J. Tomasi. In it, 52!Superman teams up to form a “Super-League” to face new threats, but over the course of the journey, he both meets Crisis!Superman and find out that Supergirl has been missing for some time. By the end of the story, a new villain uses 52!Superman’s Super Flare against them. Notably, one piece of art focuses on three currently-running Superman stories, each taking Superman in a drastically-different direction from one another. In Justice League, Superman has been powered by the pits of Apokalips, turned negative, and into the God of Strength. In Action Comics and Superman, the power-reduced Superman took a dive into a bath of Kryptonite to reset his cells. Finally, in Justice League of America, Superman’s been dealing with the “real” God of Krypton, Rao, having unleashed his machinations on Earth. We’re used to characters being in different books with different storylines running currently, but each of these have taken a drastically-different, and irreconcilable, turn. Does Clark lose (and regain) his powers before he becomes a God of Strength? Does the Justice League story (running well into Rebirth) actually take place before he loses his powers (months ago)? Where does the invasion of Rao take place? The story appears to know that there are such drastically different Superman stories running at the moment. Is it possible that one of these is not the real Superman? At a cursory glance, the Superman in the last cover that’s (apparently) attacking the others looks like the negative-stylized God of Strength Superman. Over the course of Super-League, it’s revealed that there’s not just two Clark Kents running around, but a third. The 52!Superman has to sacrifice themselves (or possibly just their powers) to defeat this one soundly. Crisis!Superman becomes the lead Superman of the DC Universe, and if he’s somehow still around, 52!Superman becomes simple Clark Kent, more man of pen and paper than steel and tomorrow.